it list as follows with ther Pricebook entry name. Use map data type to group. Map>. Can you give me an example with the map for my need. Hi - This is great. Very helpful. One question: does the component class need to be tested? What would a test look like for a class this simple/small? 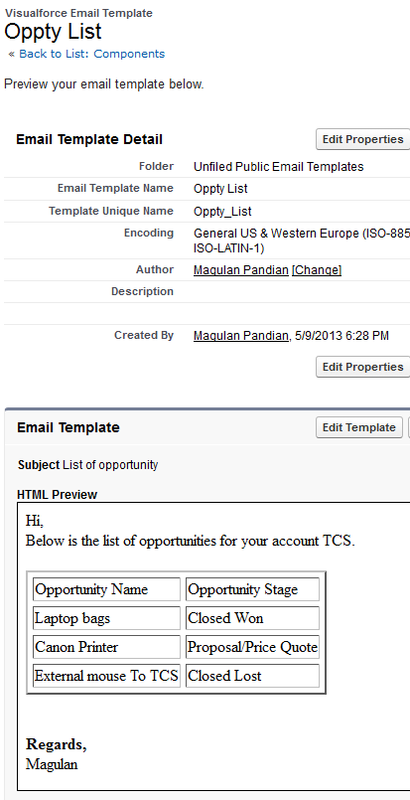 I have scenario populate Account Billing Address To Related list contact mailing address by using custom button with java script How? can we call Salesforce standard email template(like 'send an email' in activity history) from our vf page.